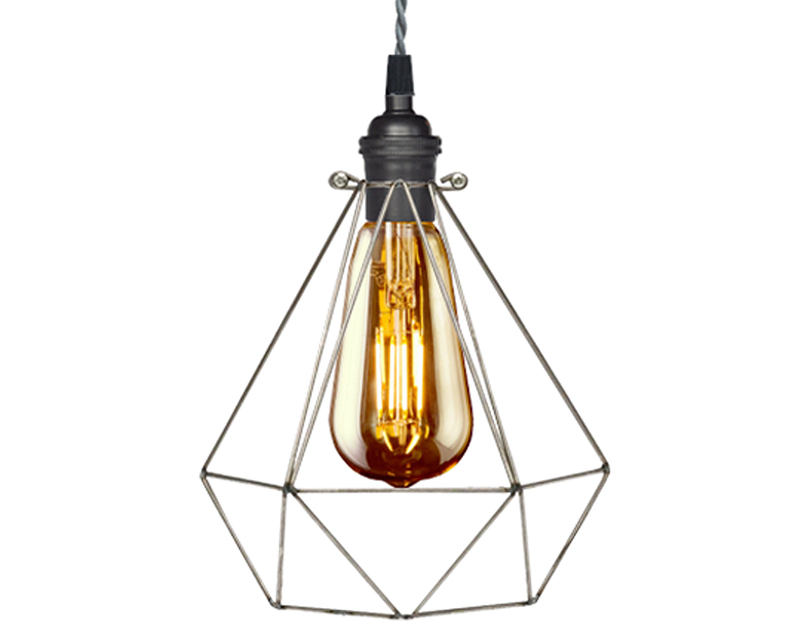 Add a designer look to your space with this contemporary mini pendant light. 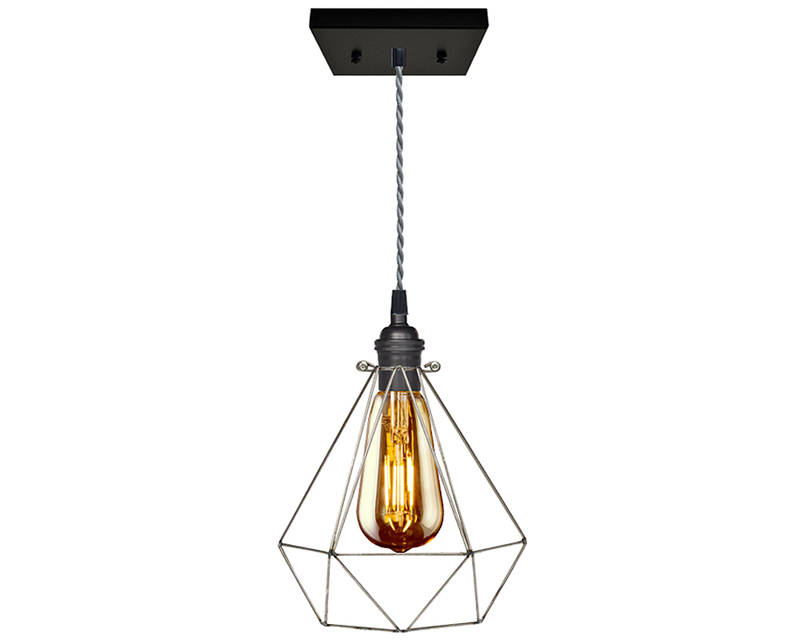 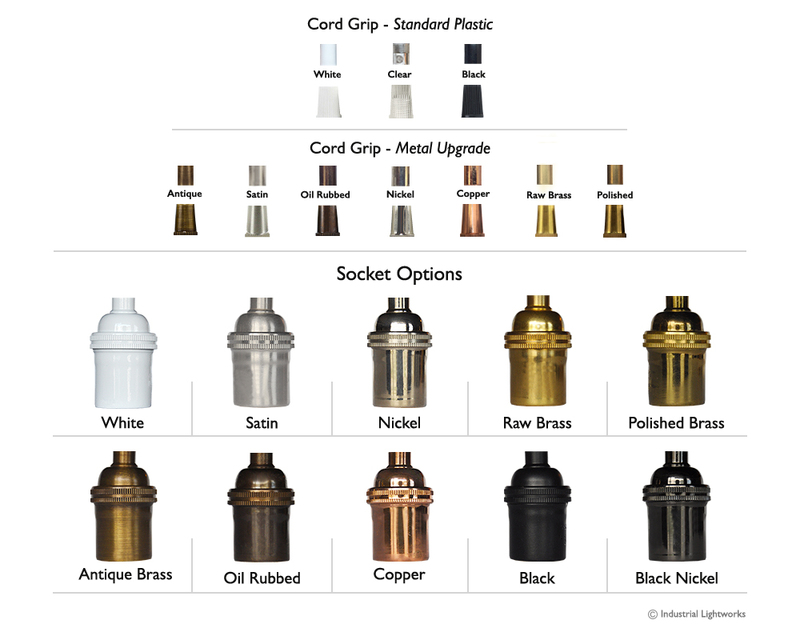 It features a square black canopy with a solid brass socket in a black finish. 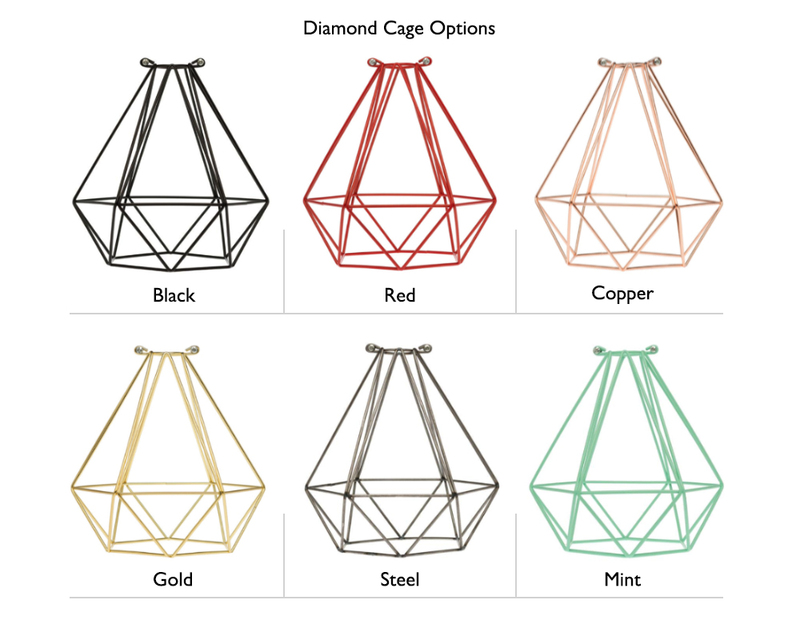 The modern geometric style diamond cage is suspended by a simple silver twist cord with a classic Edison style bulb.